What are the best marketing ideas for college admissions? How to increase admissions for your institute? What should be your marketing budget for this admission season? Which media works the best for an educational institute? If any of these questions are bothering you, the blog will be of help. The blog is a compilation of top 10 performing media for educational institutes. 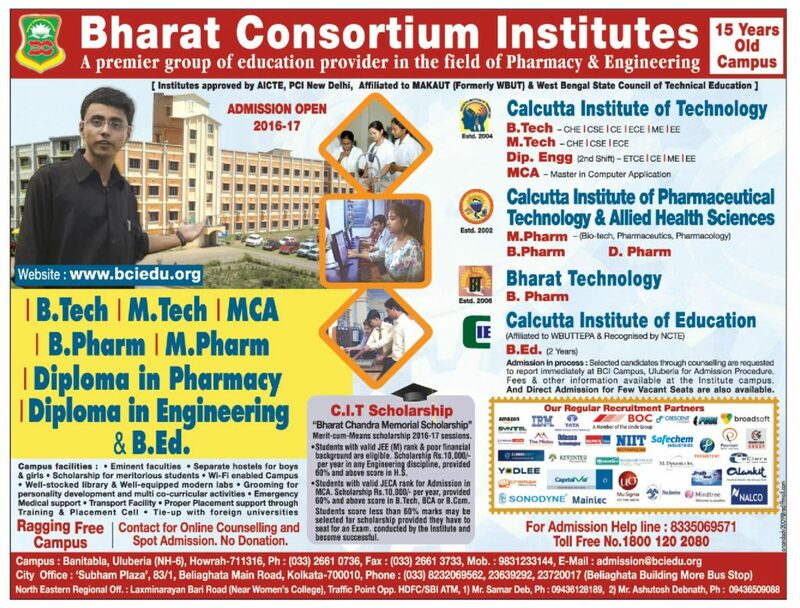 We are not only sharing the top advertising options for institutes but also a minimum budget for each of these media. 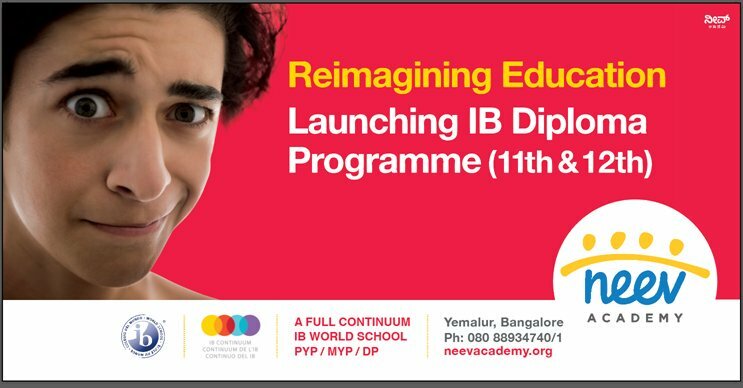 These advertising options are being suggested keeping in mind institutes ranging from schools to Engineering colleges to MBA institutes. In case you need a specific plan for your institute, do reach out to us. By far, email marketing works the best to generate leads for any educational institute. 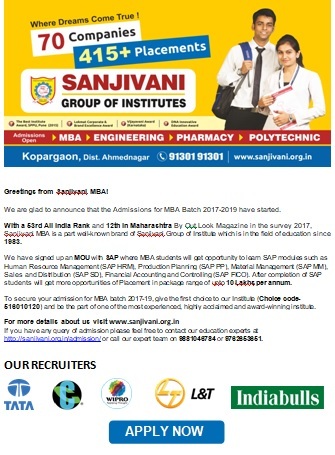 Ranging from admission to schools, Engineering colleges, and MBA colleges, a right emailer campaign gets the best result. Quality of email list and the content are the two most important factors that determine the success of your campaign. Other technical factors like subject line quality, senders reputation etc. are important. Engage with an expert. A starting budget of Rs 1 Lakh is good enough to gauge initial result. This medium needs no explanation. Whether you want to reach out to students or the parents, irrespective of your location, Digital advertising should be an important pillar. Lead by Facebook and Google, digital advertising can be very well supported by student popular sites like Bookmyshow, Cricinfo, and News in Shorts. A starting budget of Rs 50,000 is recommended for Digital advertising. Tip: Invest in a good landing page for your website. Will help you in conversion as well as reduce the cost of digital advertising. If you are trying to promote residential schools or trying to reach out to a premium segment, inflight magazines work well. 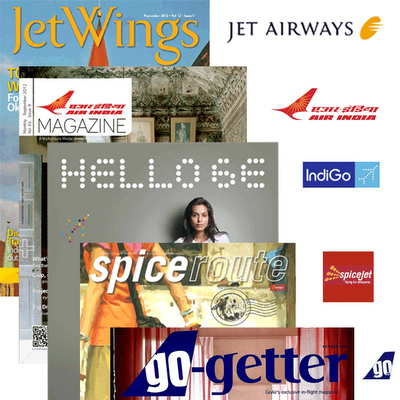 With almost 1 crore passengers flying every month, placing an ad in in-flight magazine is the cheapest and most efficient way to reach out to high-income population. Wanting to reach out to parents with 4-5 km catchment area and increase admissions to your school, daycare or primary care location? Hoardings work the best when you want to reach out to a small geography within the city. Tip: Book your billboard only for 15 days. Shift to a new location after that. Popular among educational institutes wanting to reach out to students in large Tier 2 cities. Newspaper ads bring credibility to the brands. TV advertising is perfect for marketing of education institutes with national aspirations. 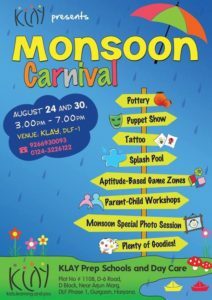 It provides the lowest cost per reach, adds credibility and reaches out to parents and students at the same time. Radio works well when a school typically has chain across a single city. Day Care chains and schools with multiple locations find great value in Radio advertising. Radio also works well when a college has students coming from all parts of a city. Tip: Pick your time when you want to play your ad. Institutes with specialized courses and niche audience find great value in magazine. An example would be a training institute for Computer Graphic courses. In these cases any mass media would result in high wastage. 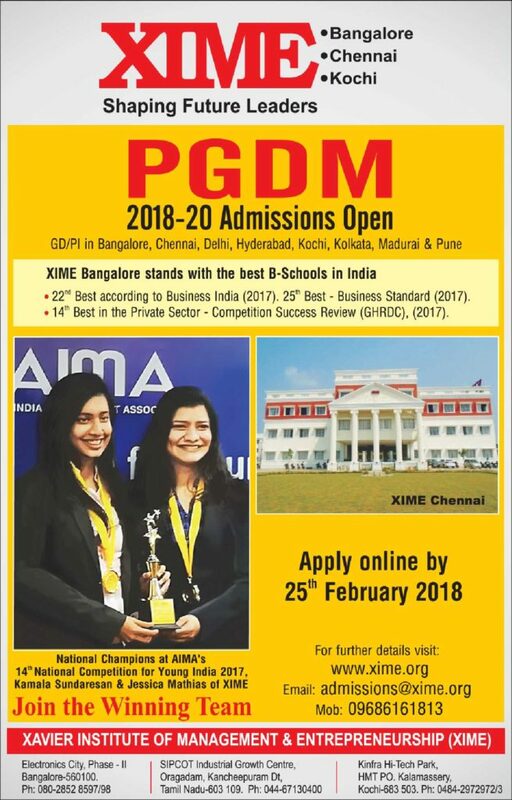 Magazine advertising also works when a coaching institute wants to reach out to students preparing for certain exams like UPSC, other Civil Services, Banks etc. Specific to metro cities, advertising in Metro trains, metro pillars, BEST buses and cabs, can work quite well for educational institutes. 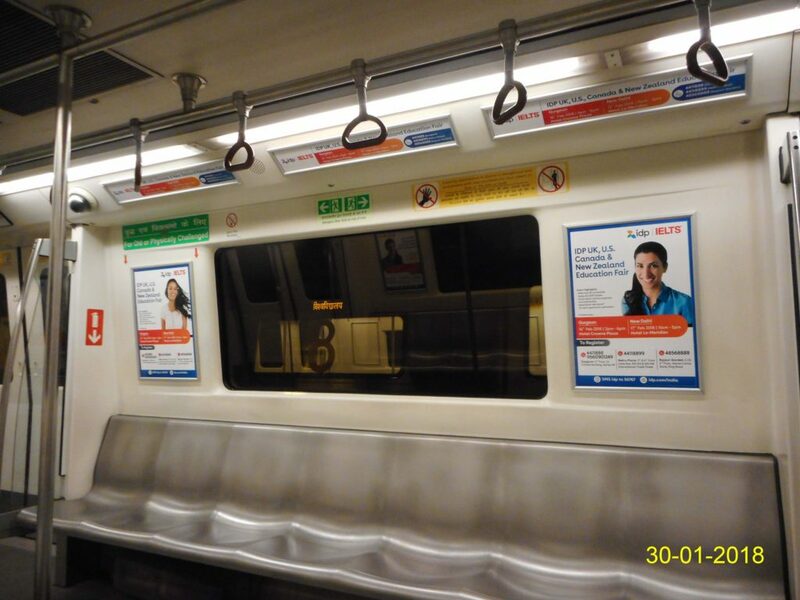 For e.g Delhi Metro ad for admissions can be run on routes that is used by students going to North campus. Need BCOM pass and Btech Pass students who need job and 1-2 months training can help them to get job. Training will be on Line mode. what is the best mode and cost.